 The Well building is as tightly sealed as possible, for a building of its nature. During renovation, a lattice of metal work was built onto the purlins of the roof. The ceiling was dropped down and filled with insulation and an airtight barrier to stop draughts and air leakage. The walls were stepped back and filled with polyethylene, also behind an airtight barrier. In old buildings, air comes in through poorly installed windows that leak a lot. When it’s windy, you get lots of air circulating. In summertime, you open the windows, but you have to put up with the noise pollution and the volatiles that are emitted into the atmosphere, some of which you are breathing in. 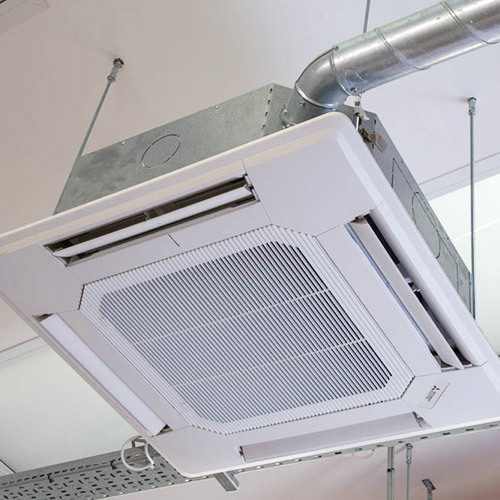 Fresh air is piped to the state of the art air conditioning units in The Well building. As the air conditioning units are circulating the air, they are also injecting fresh air into every room. The same amount of air that is being injected into the building is being extracted out of the building from various points. As the air is being extracted, the energy from that air is being put back into the new air that is coming in, and the air that is coming in is also being filtered. 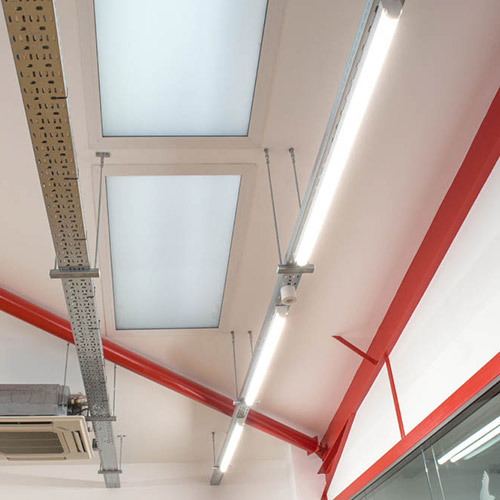 It is estimated that 1,500 cubic metres per hour of air is passing through the building, to keep it fresh, to keep it pleasant and to make it a nice place to work. Natural materials are used in the interior of The Well building to reduce volatile organic compounds (VOC’s) in the air. In a lot of old buildings, carpets and seating are used which can contain VOC’s that cause respiratory issues. In The Well, solid hardwood flooring, marble stairs, granite worktops and natural materials have been used wherever possible. 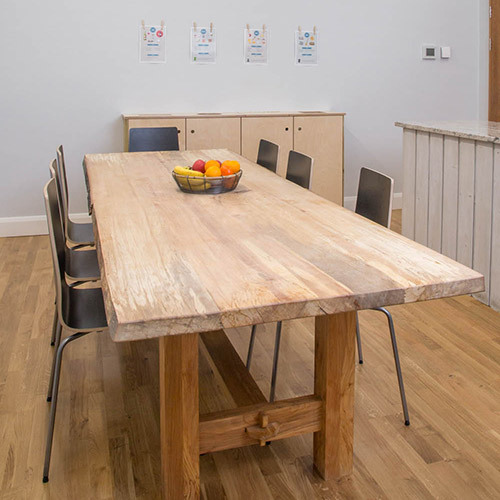 The beach, oak and ash floors used throughout the building came from Denmark, where they were produced in a sustainable way – every tree that is cut down is replaced by seven more.